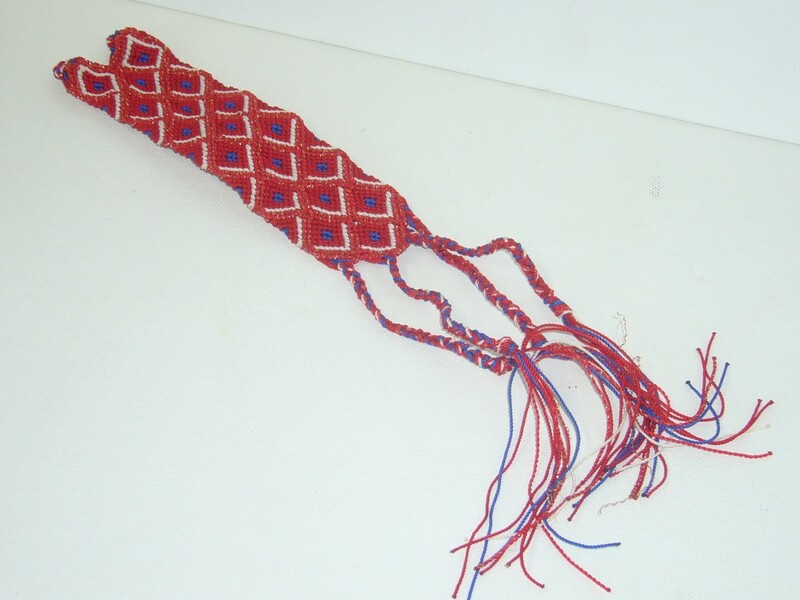 Handmade by the Ngäbe- Buglé women (a Panamanian ethnic group). The design is inspired by the traditional ngäbe women dress (geometric triangles and stripes), called the nagua. 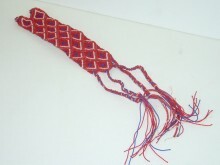 This is a unique item, the bracelet is adjustable with ties and fits almost any wrist. These one of a kind treasures from Central America make a wonderful gift! White gift box with colorful tissue paper and informational insert. A museumshoppers exclusive. Click the button below to add the Chaquira Bracelet to your wish list.